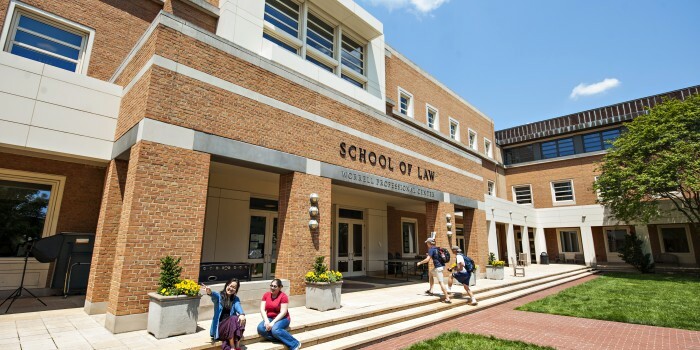 Wake Forest School of Law has once again been named among the Best Value law schools by The National Jurist in its Fall 2017 issue. For this ranking, the National Jurist used data from the American Bar Association to qualify a number of academic and financial variables, including true tuition, student debt accumulation, employment success, bar passage rate and cost of living. The Best Value ranking system takes into account a law school’s tuition (weighted 25 percent), students’ average indebtedness upon graduation (15 percent), the employment rate (35 percent), students’ cost of living expenses (10 percent), and bar passage rates (15 percent). Wake Forest’s employment rate is 86.2 percent, several points above the national average. The magazine’s methodology assesses the school’s ability to get their students legal jobs (however the quality of legal jobs is not disclosed) and get their students graduated with minimal debt.